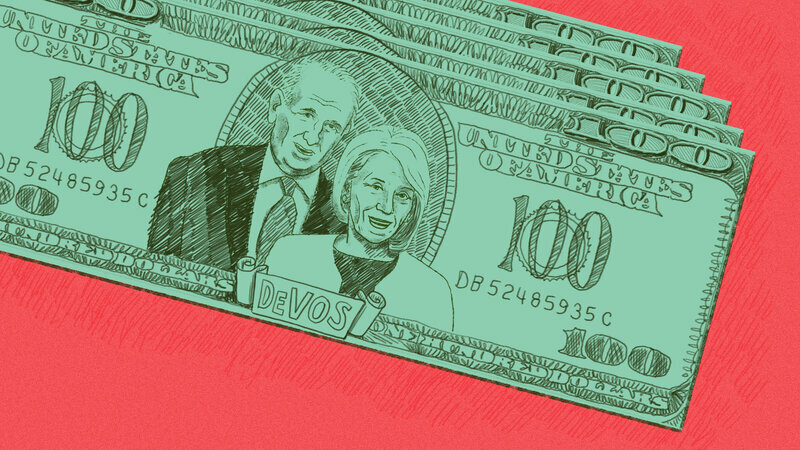 The fact that DeVos was confirmed to serve as the head of so definitional a department, even after her fraudulence was revealed, tells Americans everything they need to know about the breakdown of the system of checks and balances that facilitates Trumpism. So it is only appropriate to point to DeVos as the best evidence of the broader crisis that began on January 20, 2017. As it turns out, the only Trump administration insider who was more confused than the president about Betsy DeVos was Betsy DeVos. In January 201, at a hearing organized by the Senate Committee on Health, Education, Labor and Pensions, DeVos was supposed to make the case for her confirmation. Instead, she exposed herself. No, she did not have an education degree. No, she had never taught in a public school and nor had she administered one. No, she had not served on an elected school board. No, she had not sent her children to public schools. No, she had never applied for a student loan and nor had her children. But, yes, she did think that guns might have a place in public schools as a defense against grizzly bears. Asked about the aspect measure of educational attainment, she struggled to distinguish between growth and proficiency in an exchange with Al Franken so agonizing that the senator form Minnesota felt it was necessary to speak very slowly and deliberately as he explained to the nominee for secretary of education that “this is a subject that has been debated in the education community for years.” New Hampshire senator Maggie Hassan, mother of a child with cerebral palsy, asked DeVos about programs and protections for students with disabilities. The nominee seemed to be unfamiliar with “the policies surrounding that” in general, and, more particularly, with the federal Individuals with Disabilities education Act (IDEA). The answer to that question came in the form of a question. Vermont senator Bernie Sanders, who for years had warned of the danger that America was veering toward “of the rich, by the rich for the rich” plutocracy, grilled DeVos on a host of issues, from school privatization to college costs but he opened the discussion with an inquiry that resolved the mystery of DeVos's presence before the committee. A sheepish DeVos replied that “I don't think there would be that possibility.” But she could not muster energy for an argument that even she knew was comic. No one, not even Betsy DeVos, could have imagined, not for a minute, not even by the most remote possibility, that Betsy DeVos would be anywhere near a Senate hearing room, let alone the cabinet table, if she had not bought her way into the room. Education Secretary Betsy DeVos has made headlines recently for plans to further shake up policies regarding for-profit higher education. She's proposed a new rule that critics say would make it harder for defrauded students to seek debt relief. She's also taken aim at so-called gainful employment regulations put into place by the Obama administration, which forced for-profit schools to prove students they enrolled were able to secure decent jobs. It's a fitting time for a step back to look at DeVos' impact so far and the trajectory for education in the country under her watch. The recent regulation proposals fit squarely with DeVos' track record on policy. The constant theme: deregulation. "She really believes government should not be telling you where to be going to school," Wall Street Journal reporter Michelle Hackman said. "They should be giving you as many options as possible and sort of allowing the market to help you decide, or giving you information to help you decide where you would best benefit from." The rules on record from the Obama administration were designed to protect students from schools like ITT Technical Institute and Corinthian Colleges, which were found to be misleading students with false advertising and misleading claims. "The schools were saying, 'If you go through this program, you have a 99 percent guarantee of getting a job,' " Hackman said. "And students were enrolling, and taking on huge amounts of debts, and those things were just turning out to be flatly not true." DeVos' actions to dial back the gainful employment regulations have led to lawsuits by a host of attorneys general across the country. Among them: Massachusetts' Maura Healey. "Unfortunately, as another example of the terribly misguided policies and detrimental policies of Betsy DeVos, she came in and basically rolled back that rule that was there to protect us, and we took to the courts," Healey said. The other notable rule DeVos has laid out deals with loan forgiveness. 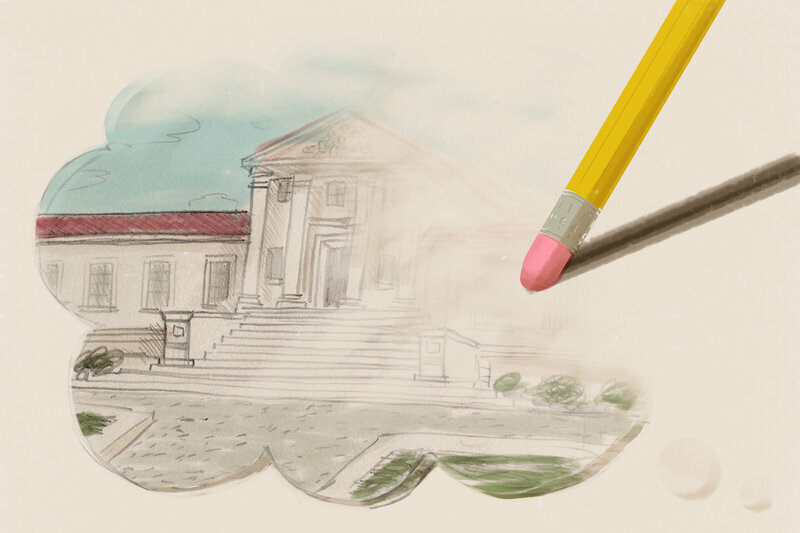 Right now, if you were a student at an institution closed or accused of fraud, you might be eligible for student loan relief. Under DeVos' plan, students would no longer receive that help automatically, and could possibly be ineligible for any relief if the former school provided an option to complete the degree elsewhere. This new policy would reportedly save the government $12.7 billion over 10 years. 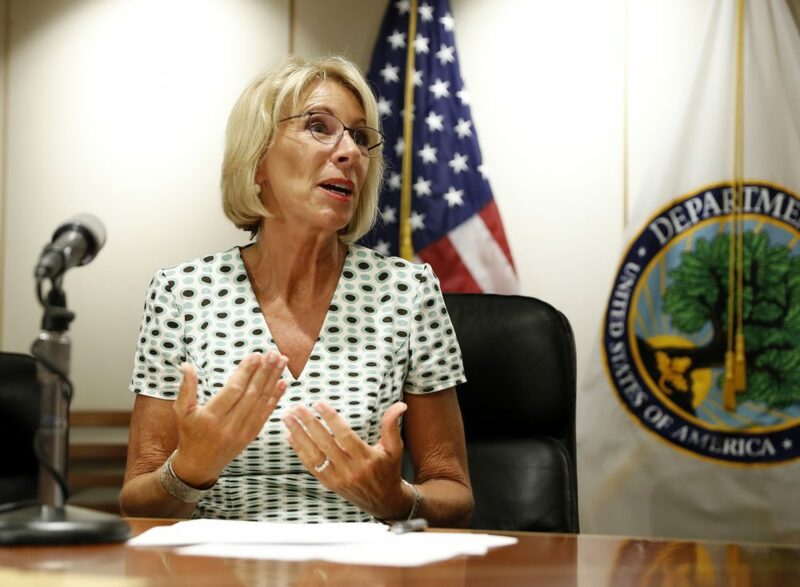 "The money on the line is taxpayer money that these students are taking on, and forgiving all of it sort of willy-nilly is really going to cost taxpayers hundreds of millions, if not billions, of dollars," Hackman said of the argument in favor of DeVos' policy change. For some, DeVos' approach to policy thus far has resonated. Her messaging, however, has been flawed. "I think that she is taking the federal government's role in a more modest and, quite frankly, productive direction," said Max Eden, senior fellow at the Manhattan Institute. "Unfortunately, the things that she is doing require a lot of finesse and explanation, and kind of power of persuasion that she hasn't quite been able to muster." Critics of DeVos, however, have pointed to improper handling of civil rights complaints to the Department of Education. The NAACP, the National Federation of the Blind and the Council of Parent Attorneys and Advocates filed a lawsuit recently alleging the department may be "unlawfully dismissing complaints even if students or their families provide ample proof of discrimination," the Washington Post reported. 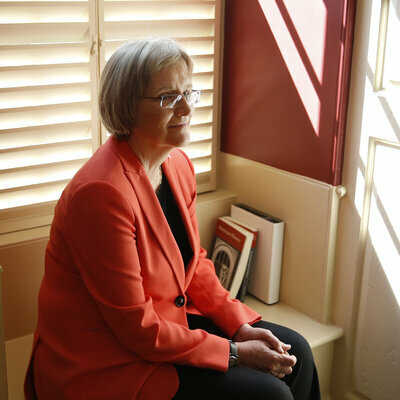 "The department rolled back many of the civil rights enforcement regulations we thought were crucial to making sure that every American — regardless of race, ethnicity, points of national origin or any other differences, even disability — would have an opportunity to get a high-quality education," said Hilary Shelton, senior vice president for advocacy and policy at the NAACP and director to the NAACP's Washington Bureau. 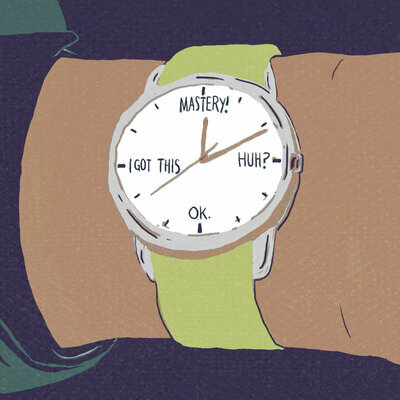 Competency-Based Education: No More Semesters? John Nichols sums that Donald Trump is one man. A powerful man, to be sure, but sill one man. He can only govern with the collaboration of other men and women, like Betsy DeVos and, in the American system, he could not have established that collaboration at its highest and meaningful level without the acquiescence of Republicans in the U.S. Senate. Unfortunately, they id acquiesce. Even after they had watched Betsy DeVos melt down, and in full knowledge of that fact that her only “qualification” was her wealth, a sufficient number of Republicans (with an assist from Vice President Mike Pence) decided to give the woman who “may have confused it” control over education policy and practice in the United States. At one time the US had the best education system in the world. Ever since Proposition-13 public schools have gone to hell. Public schools were force to become vendors for Pepsico and our children became fat and candidates for Class I and II diabetes. Our colleges are still number one in the world except for the fact that DeVos is doing everything in her power to make them otherwise. Remember Donald Trump came into office as a businessman. Now he is willing to give the school systems the business. Why is Sessons and Trump out to sue Harvard? Harvard has a large Asian student body. The only discrimination at Harvard is money and ability and an over-abundance of elites who want to attend Harvard. Maybe Trump wants to get even with the Neocons who are writing book about him and not saying nice things about him. Harvard is in less debt than the US Government, not to mention they have access to lawyers at least as good.